Former APS employee Ian Coleman is down in Perth, Western Australia getting ready for the ISAF Worlds. Racing with Andrew Campbell in the Star Fleet, the skipper and crew want to do well. If they do, they will have the opportunity to represent the US in the London Olympics in summer 2012. Sailing at such a high level all the time wreaks havoc on rigging. For example, Ian estimates all of the Star’s running rigging needs to be replaced twice a year, which for them means 2-3 major events including at least 1 week (often times more) of practice leading up to each event… Most of these events take a week or more. To make a long story short – let’s just say, this isn’t your grandmother’s rigging. 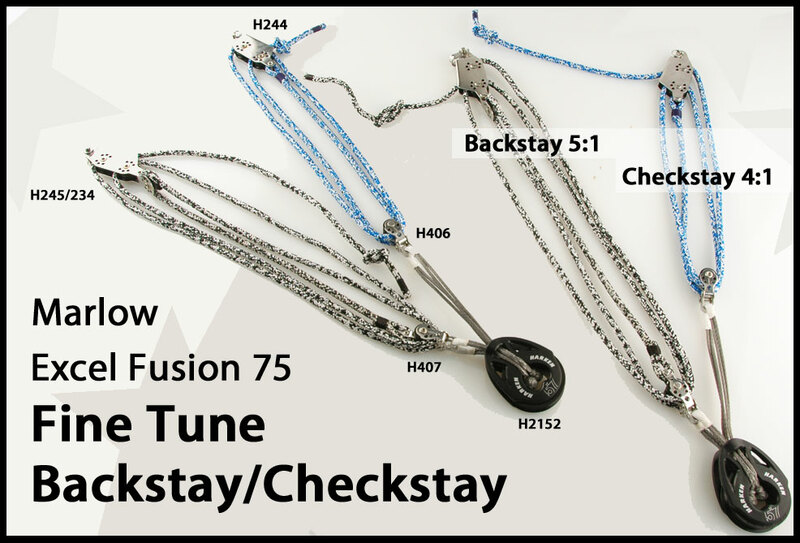 Ian used two colors of 1/4″ Marlow Excel Fusion, Harken Hardware, and custom made DSL Attachments to make these examples of the Star’s control lines. Excel Fusion was chosen because it’s easy on the hands. We’re not sure if skipper Andrew Campbell wears gloves – but if he goes au naturel, we know why this is a top choice line for him. If feels that good. It also has low stretch, low creep – and is strong. 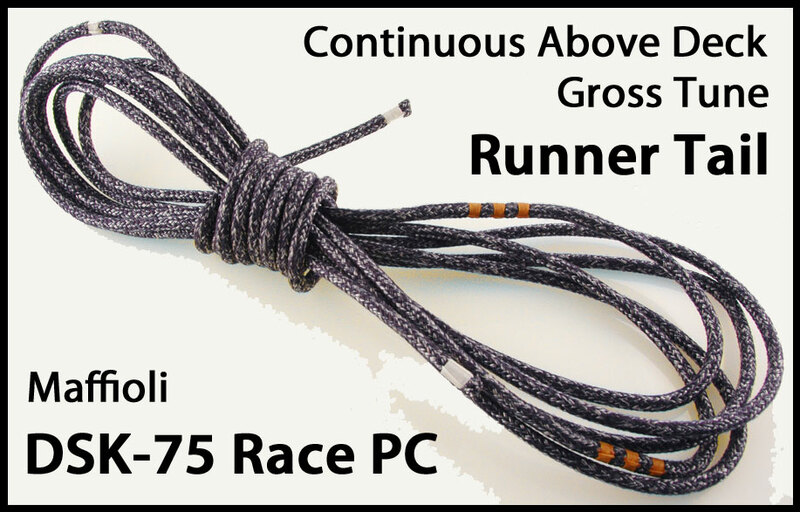 Maffioli DSK-75 Race PC was chosen for the runner tail because of it’s low stretch. It also runs really well – it comes off the reel pretty stiff and has less of a tendency to hockle.